Upstate New York's Premier Professional DJ Service and Photo Booth. 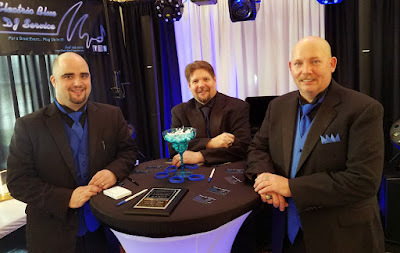 Specializing in weddings, private parties, corporate events, school dances, and college entertainment, Electric Blue DJ Service has provided premium entertainment services to thousands of satisfied couples and clients. We are powered by a dynamic vision to be a creative and driving force in the evolution of professional entertainment in Upstate New York and our team are more than DJ's and Photo Booth Professionals, we are experienced members of your wedding planning team or corporate event committee. Electric Blue DJ Service promises to provide you with the best possible experience at an affordable price with no hidden fees or hassle.